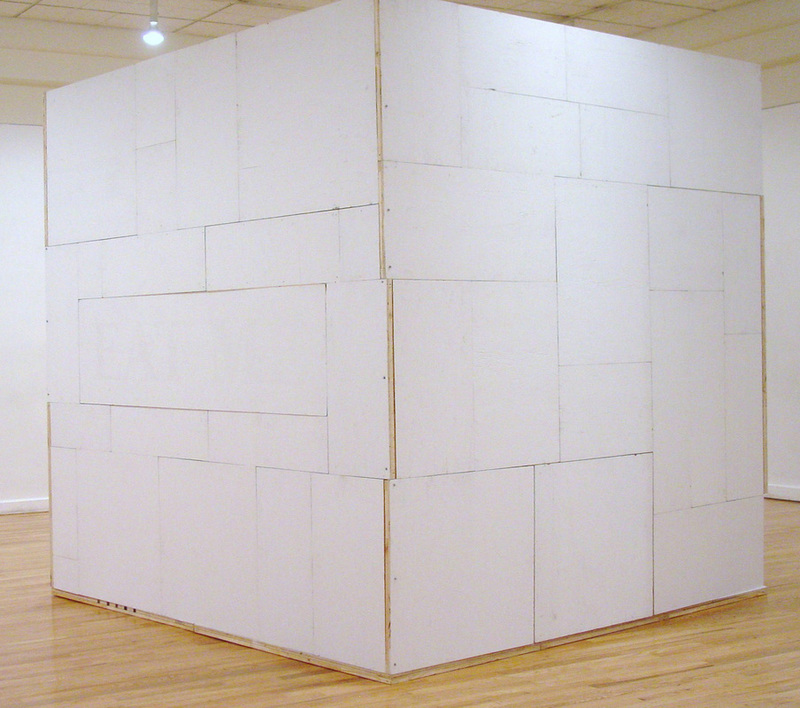 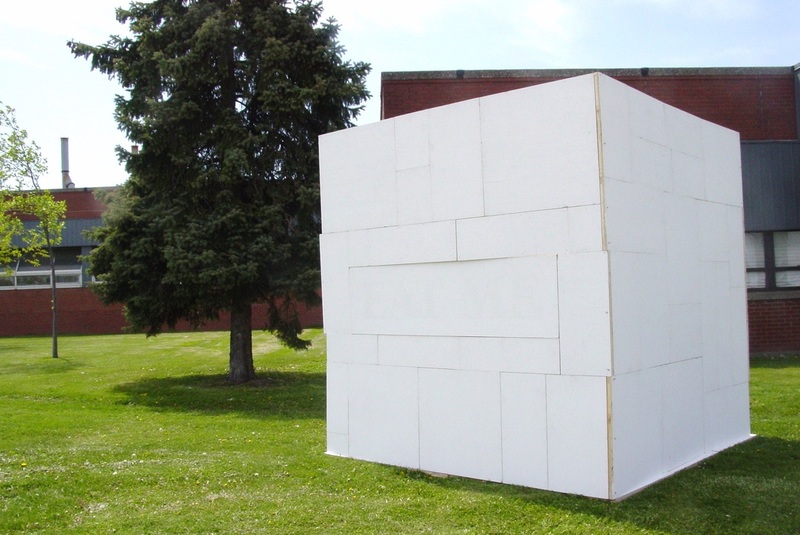 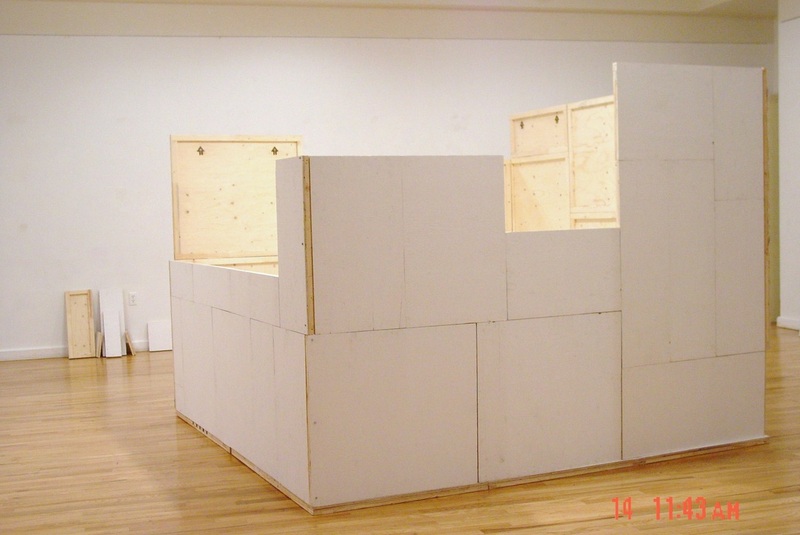 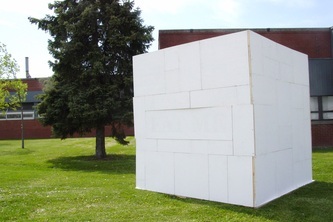 Designed to house my thesis exhibition, this modular white cube adapts to meet the needs of an itinerant art practice. 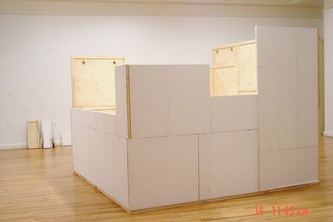 Fully assembled it creates a space apart: a cubicle work space; an intimate meeting place; a dynamic display case. 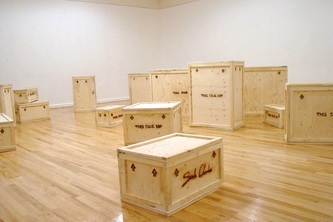 When the show is over the sculptural space of the cube transforms to accommodate the abiding realities of a material practice: transportation and storage. 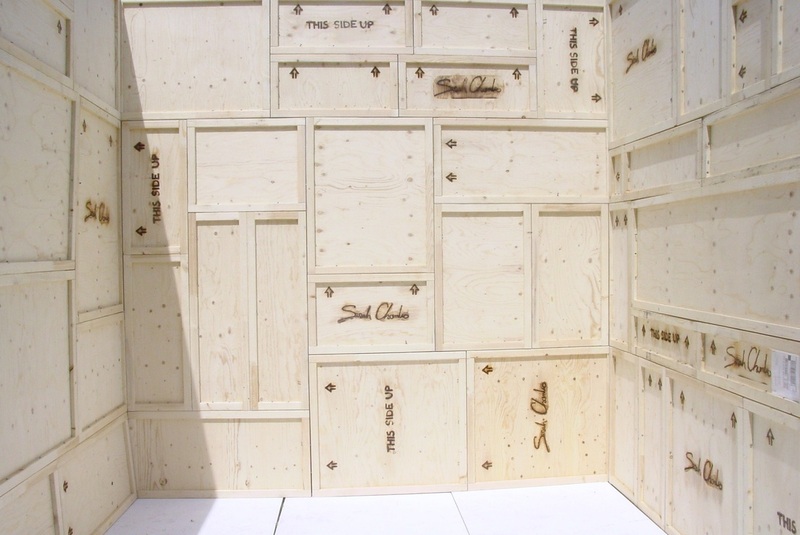 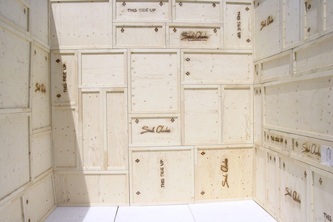 The ninety panels which make up the cube reconfigure to form fourteen crates of various sizes.